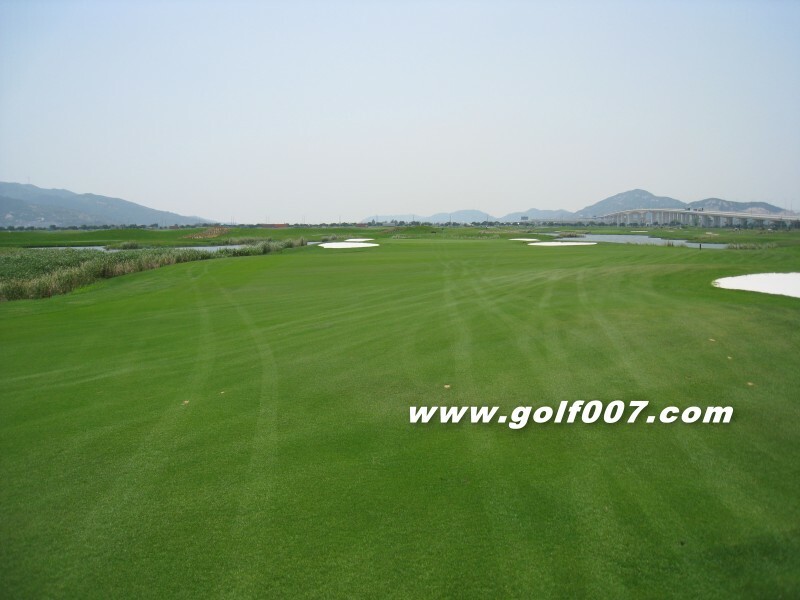 The 1st hole is a medium length dogleg left par 4. 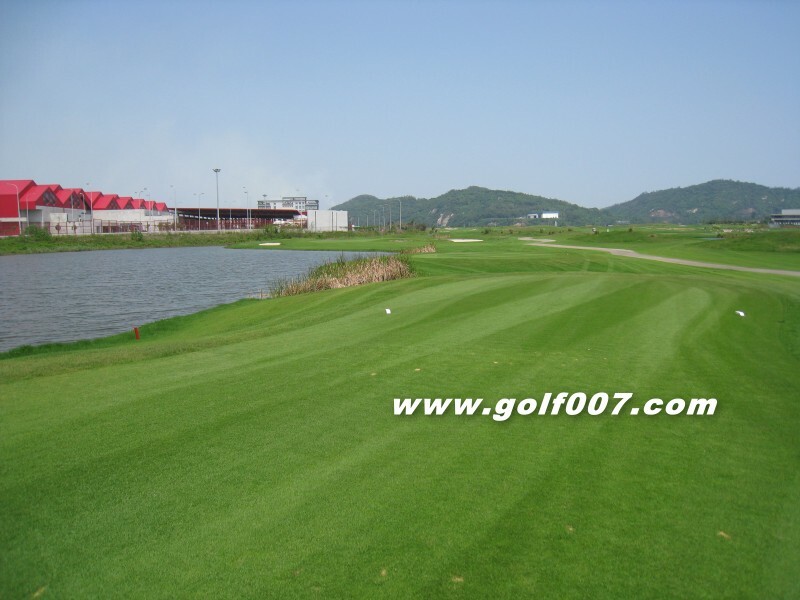 Medium length par 3 with water on the left. 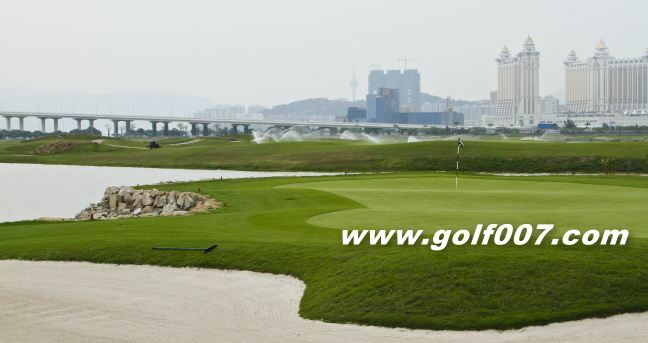 Tough hole when the wind is up, water on the left all the way to the slightly elevated green. 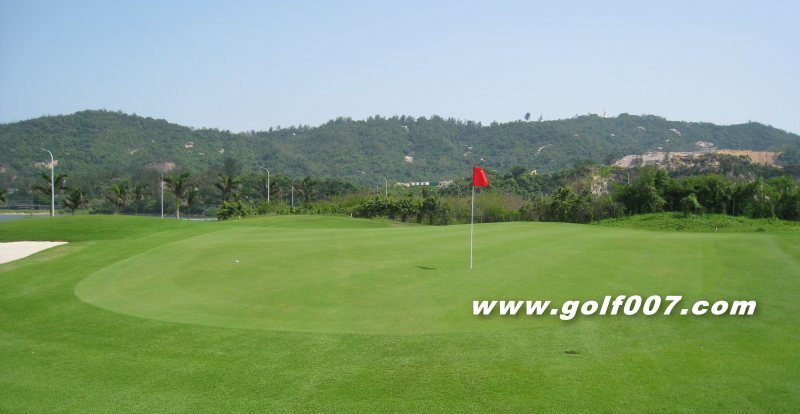 A very long & straight hole, need to have 3 solid strikes to get GIR. 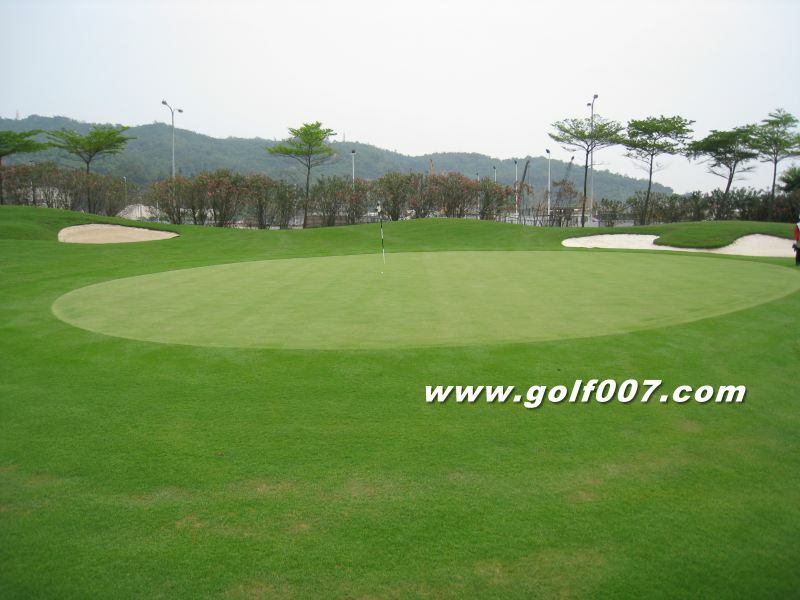 This par 3 is with a tough undulating green, pay attention or may 3 putts. 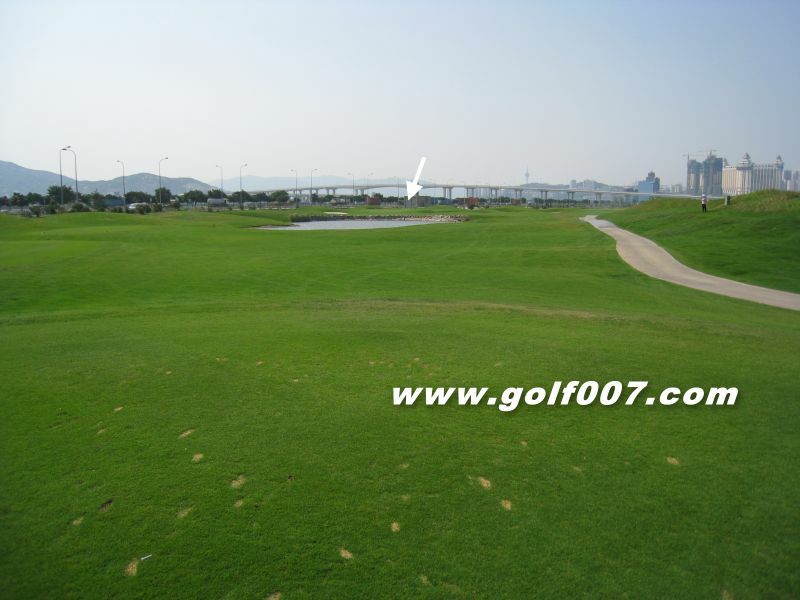 Index 3 hole with a gentle turn to the left, against wind most of the time. 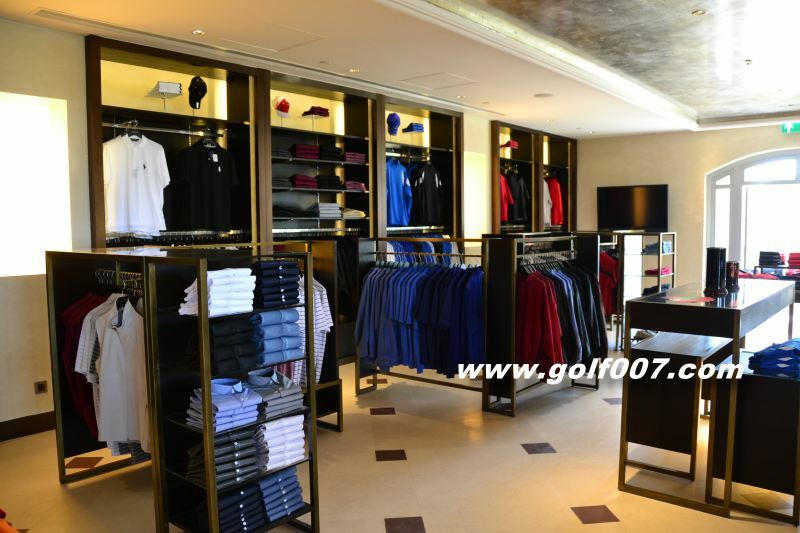 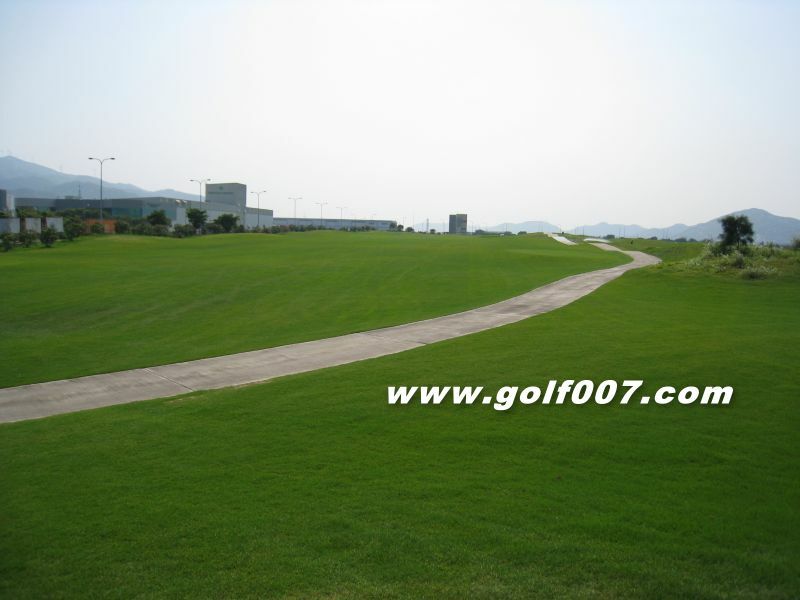 A straight forward par 5 with a generous fairway, not too difficult. 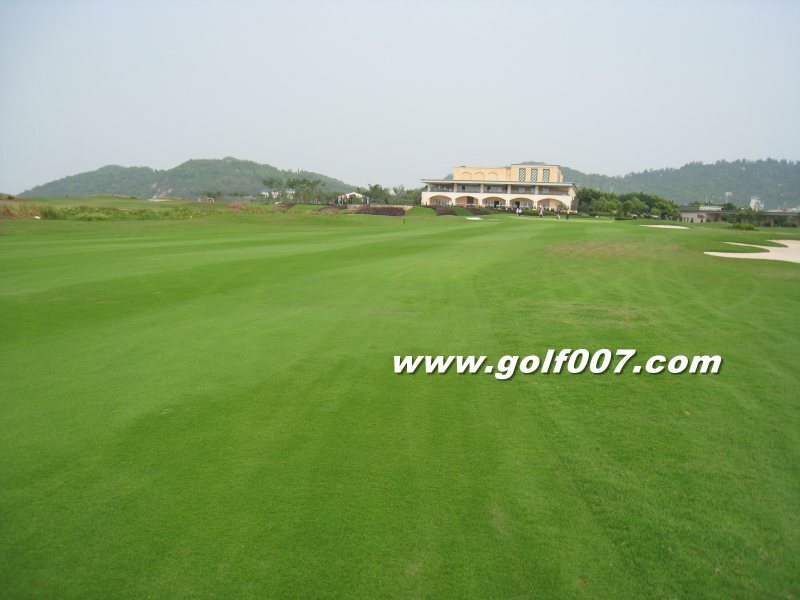 A straight forward par 4 with an elevated green. 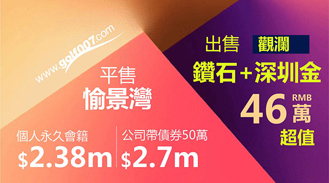 大左狗腿, 左面全水, 開波夠遠者可一博, 想安全就要用長鐵或球道木(太長會打穿球道) 向中間打, 留番100碼左右上果嶺. 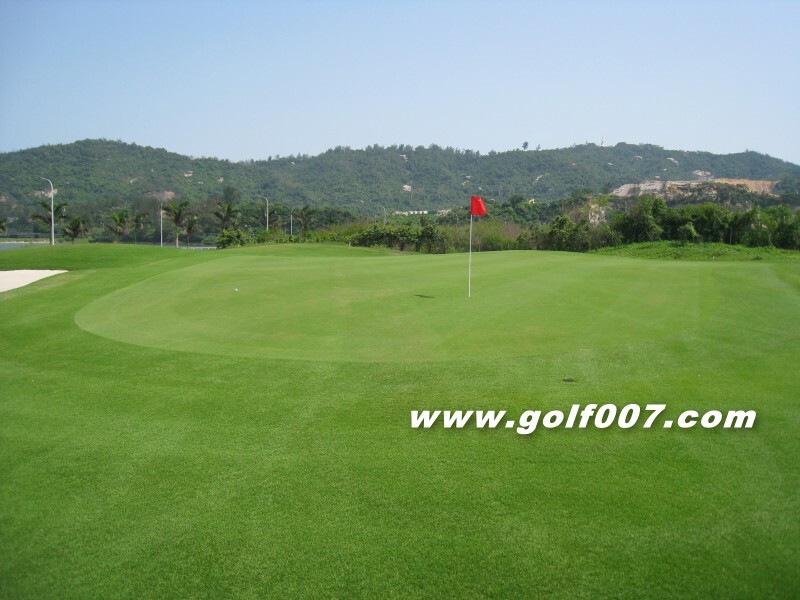 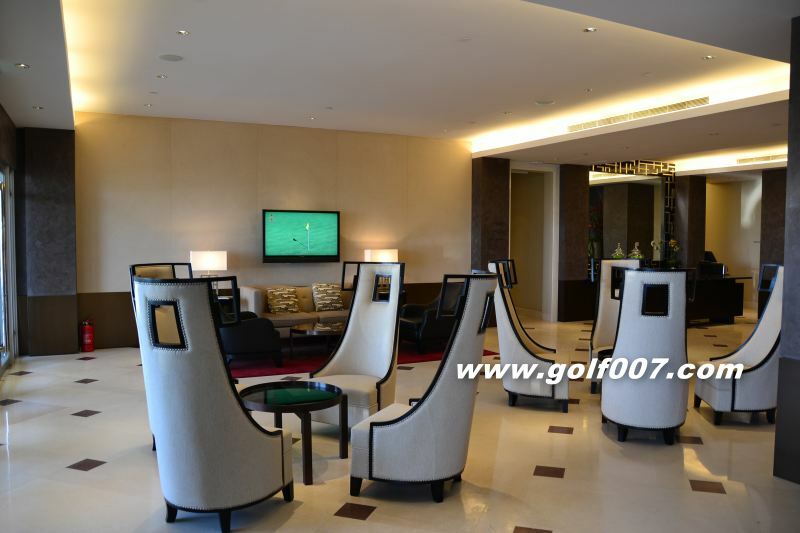 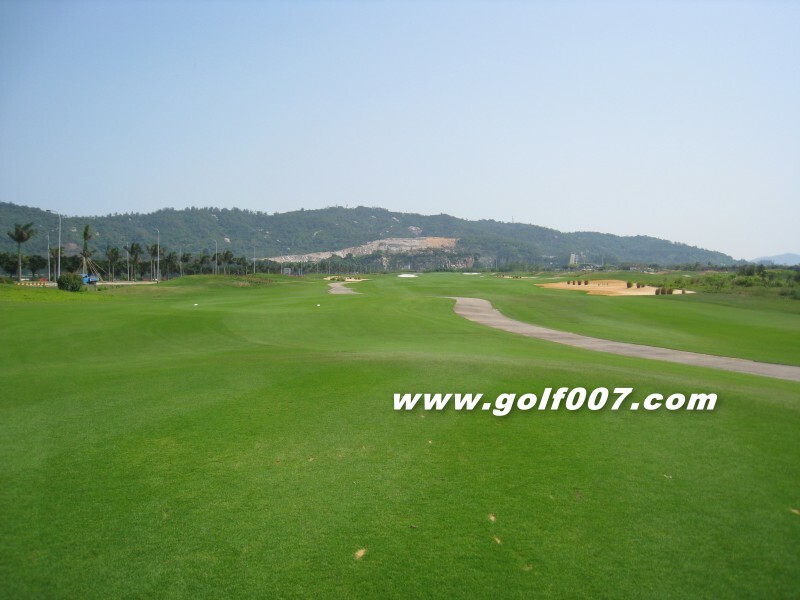 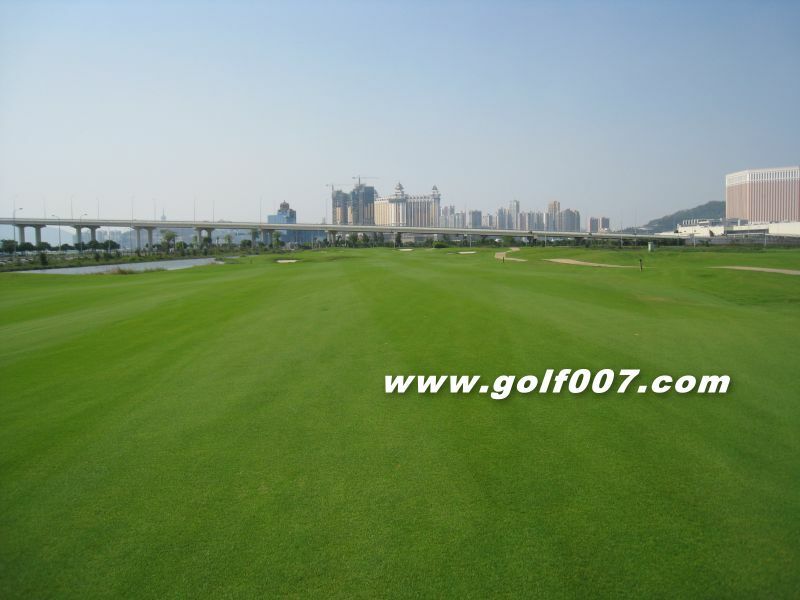 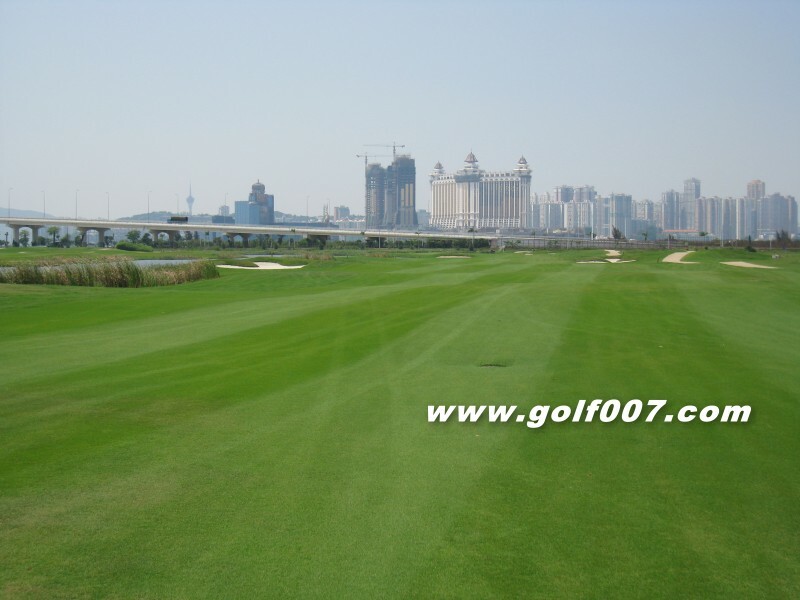 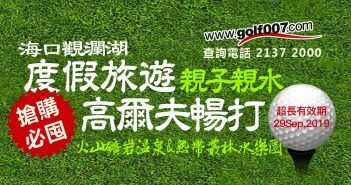 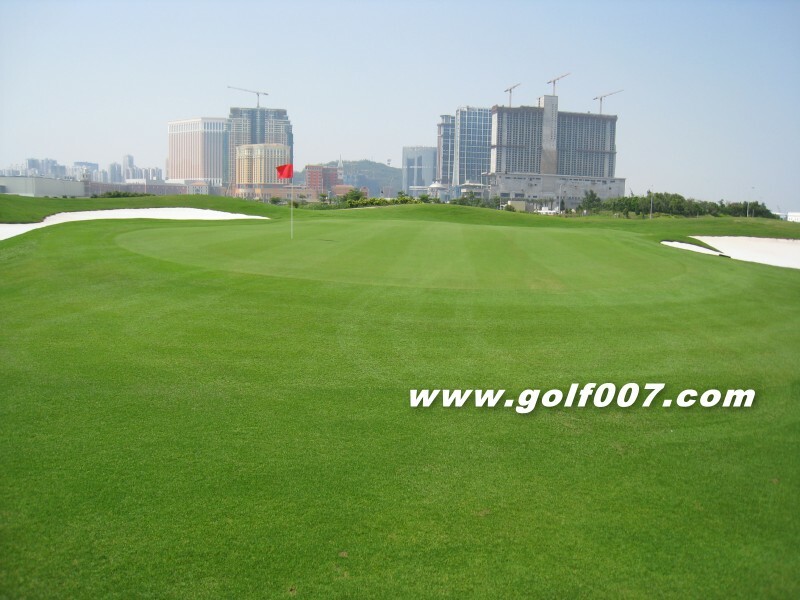 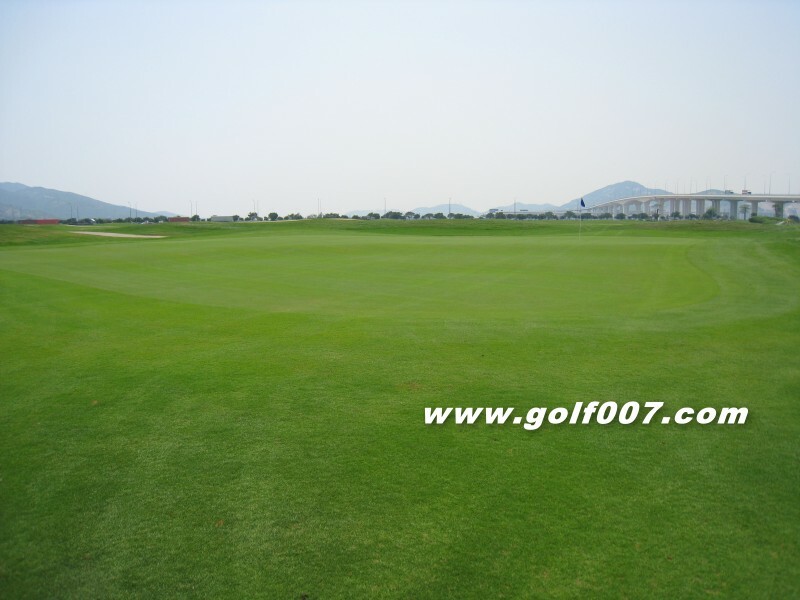 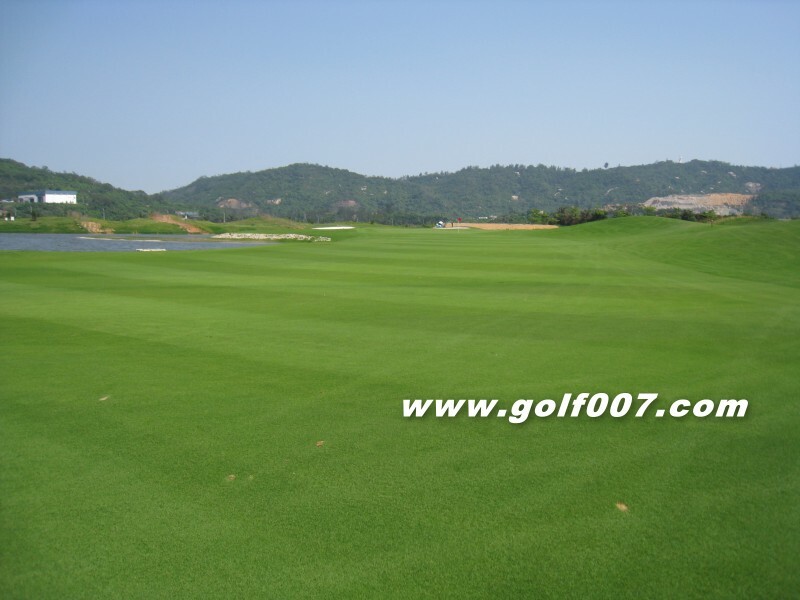 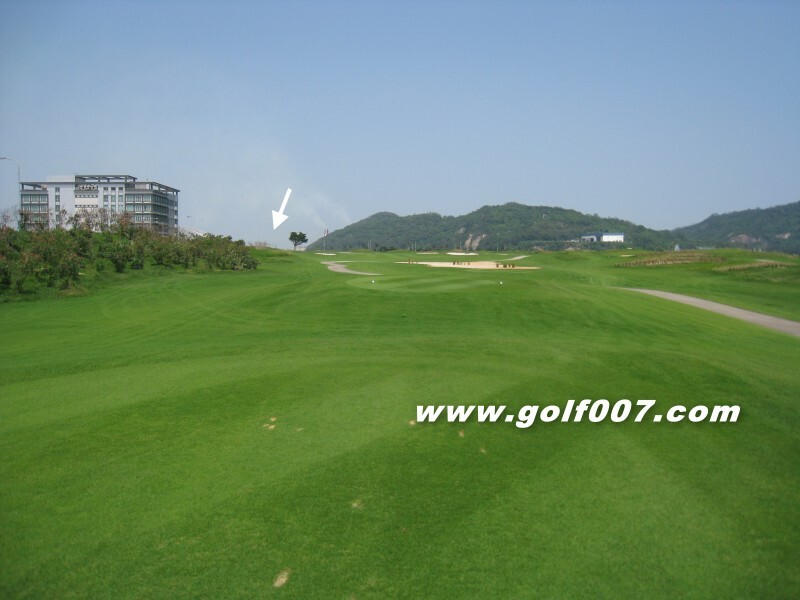 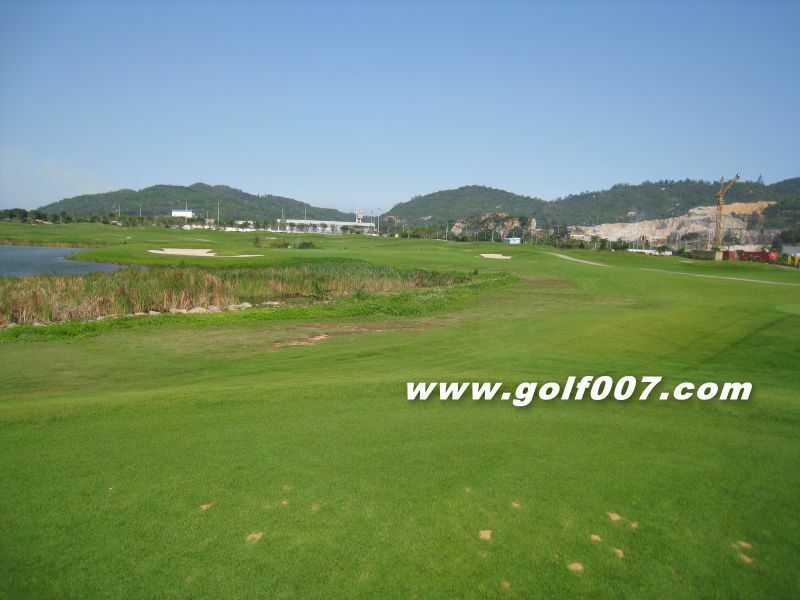 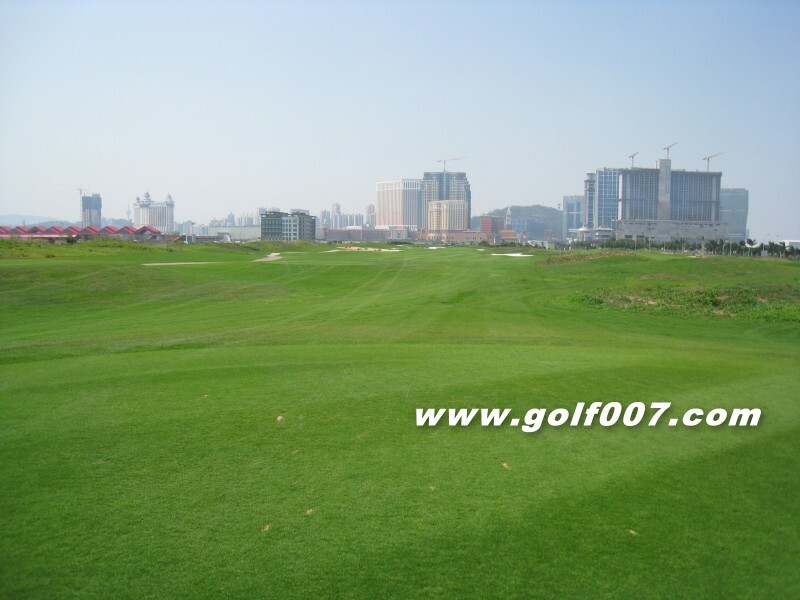 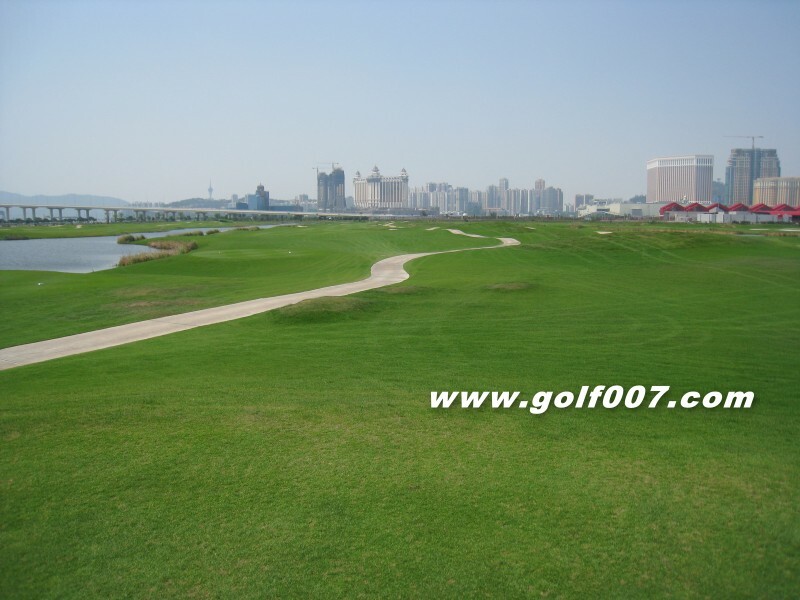 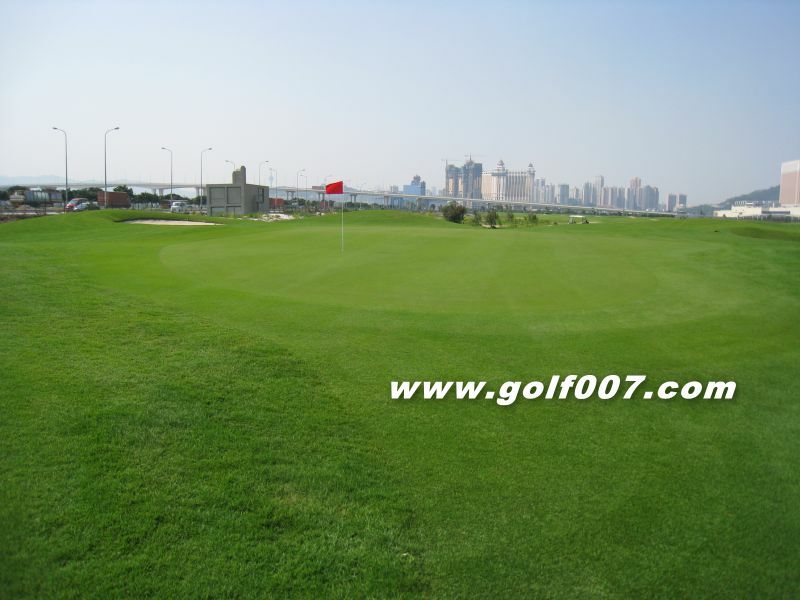 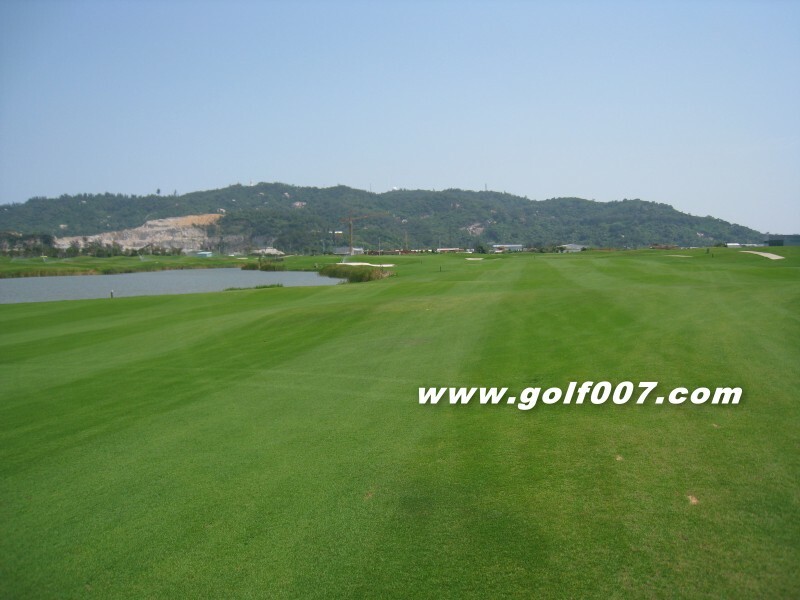 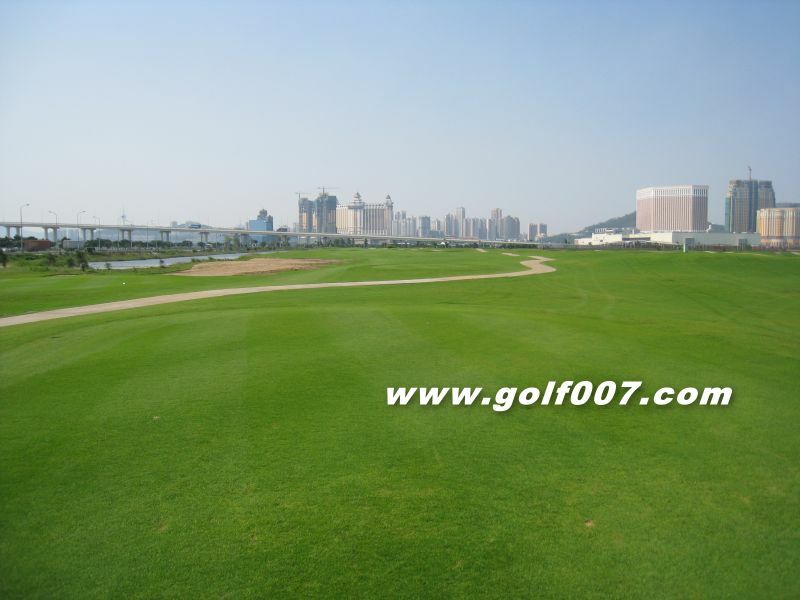 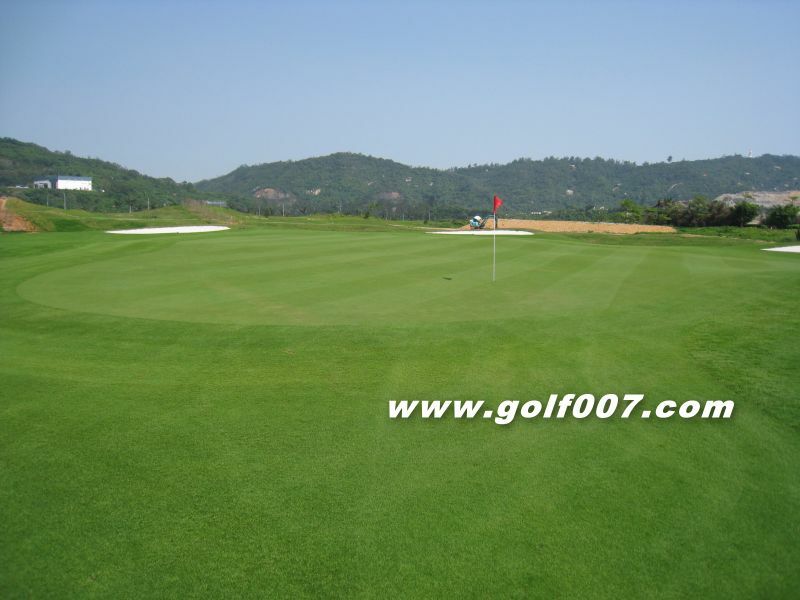 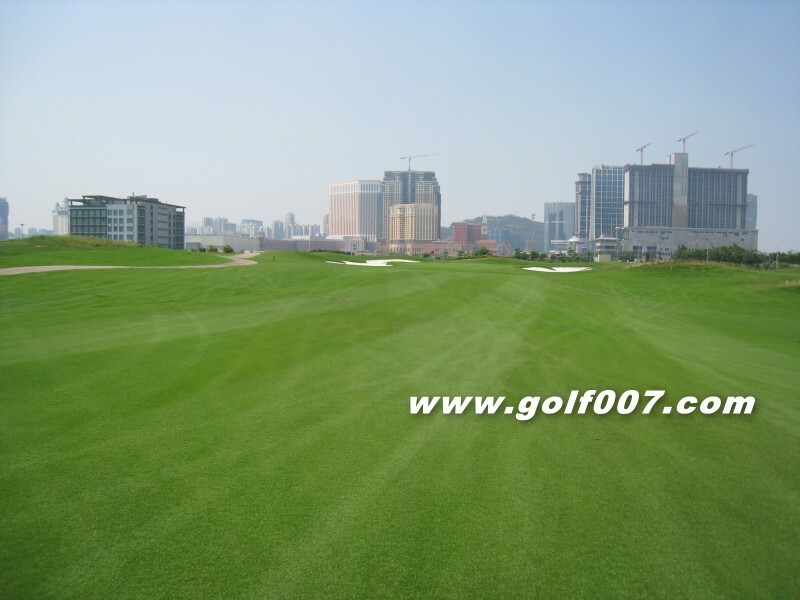 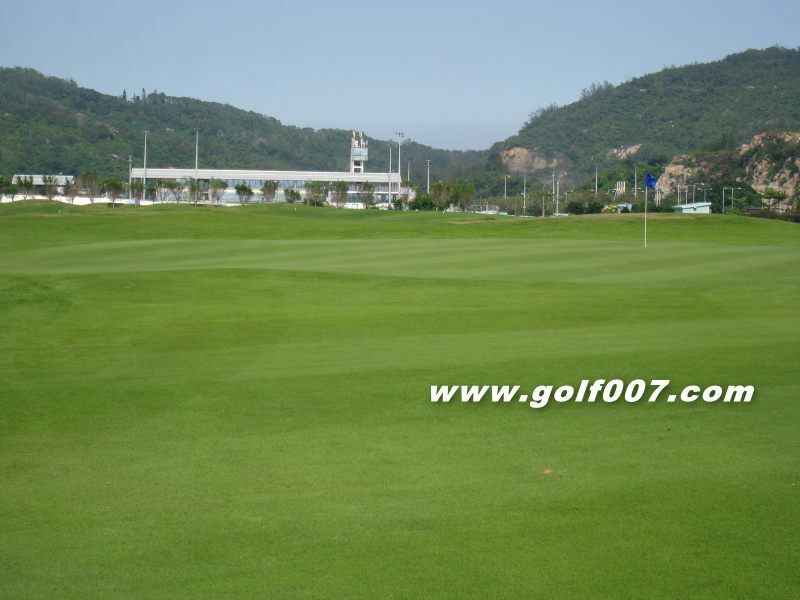 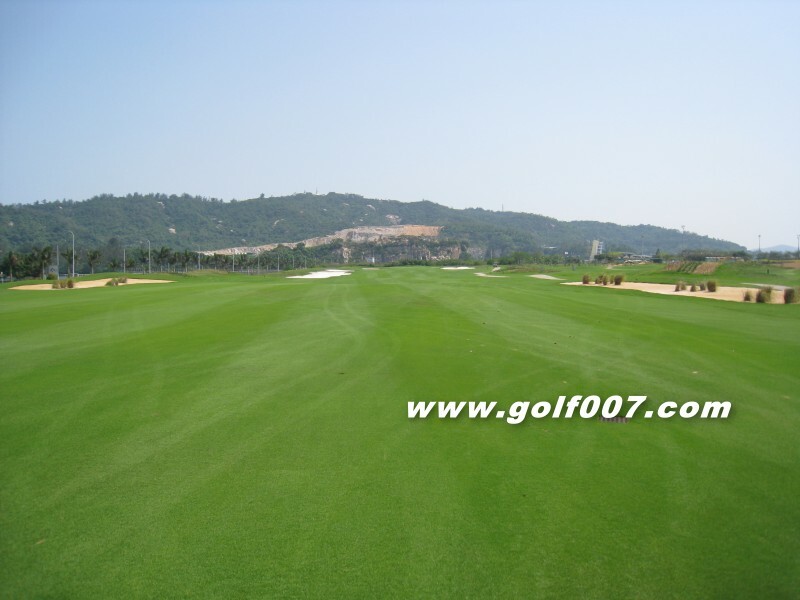 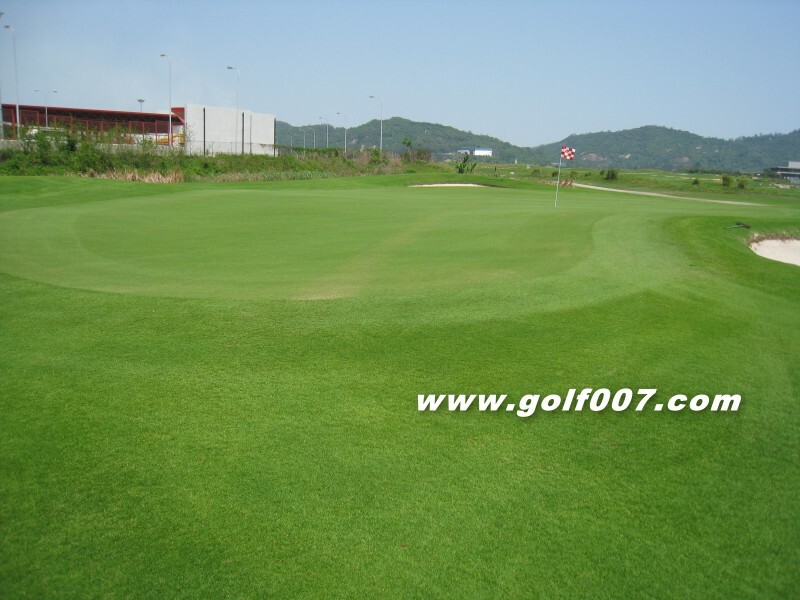 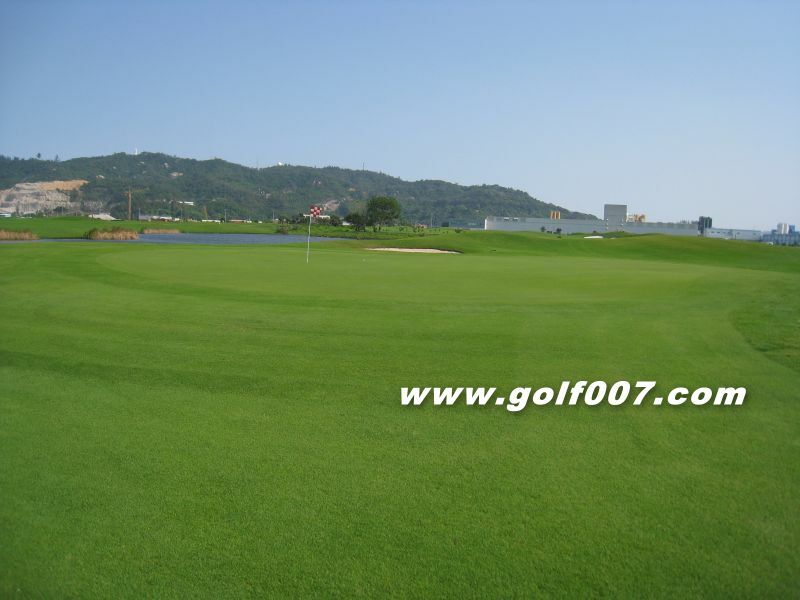 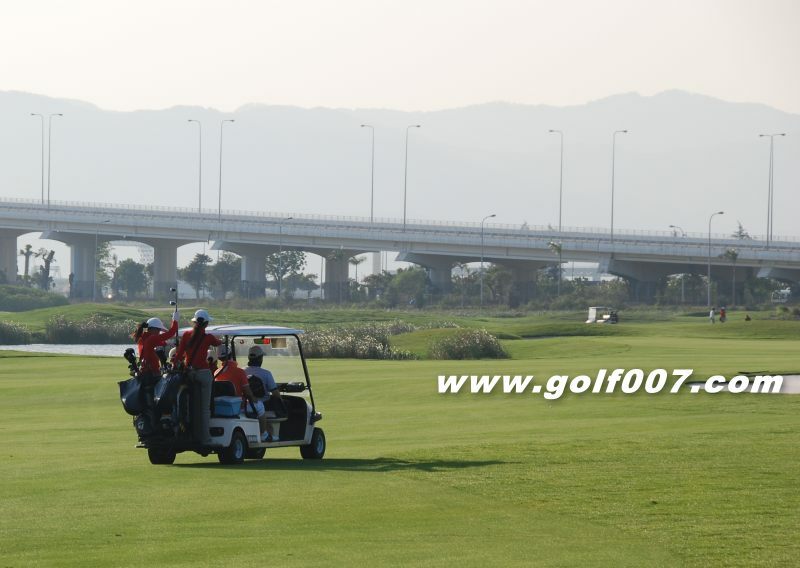 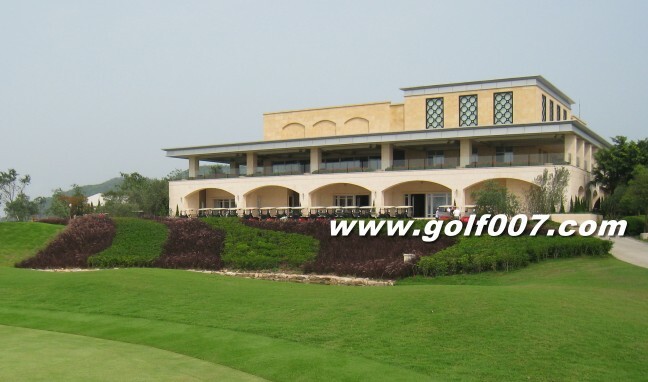 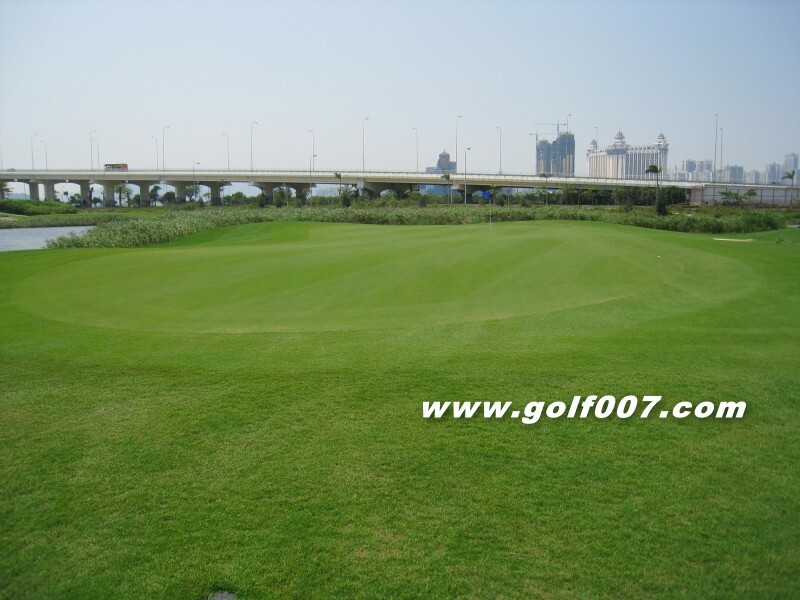 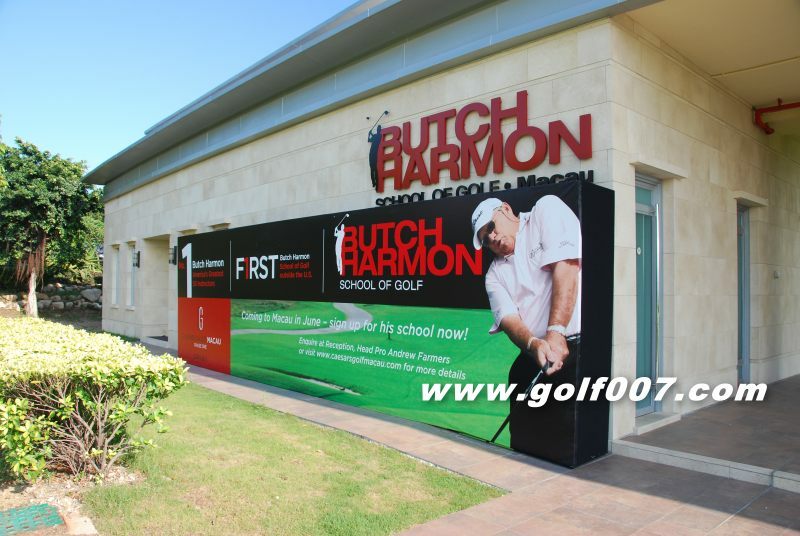 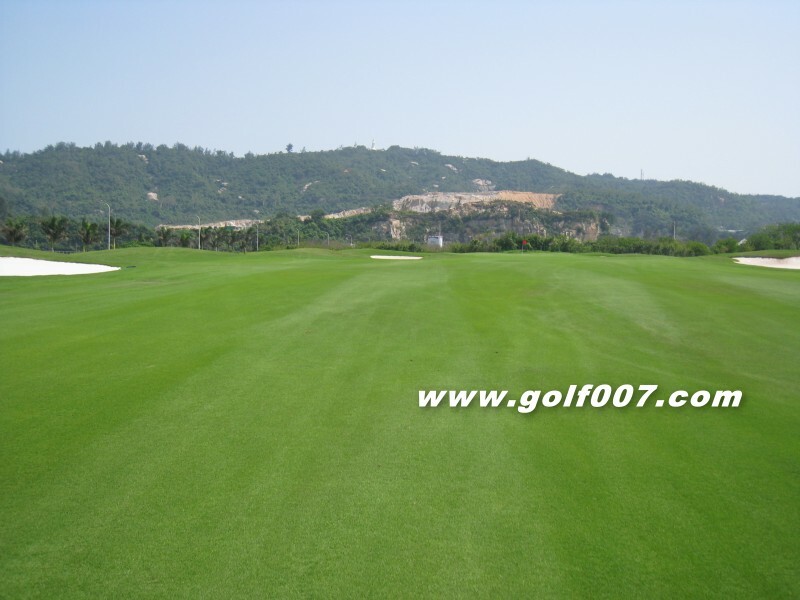 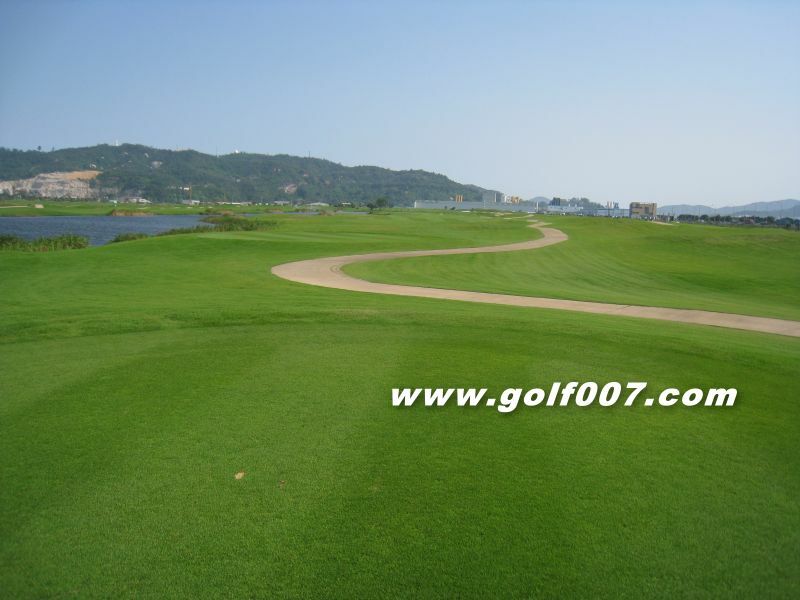 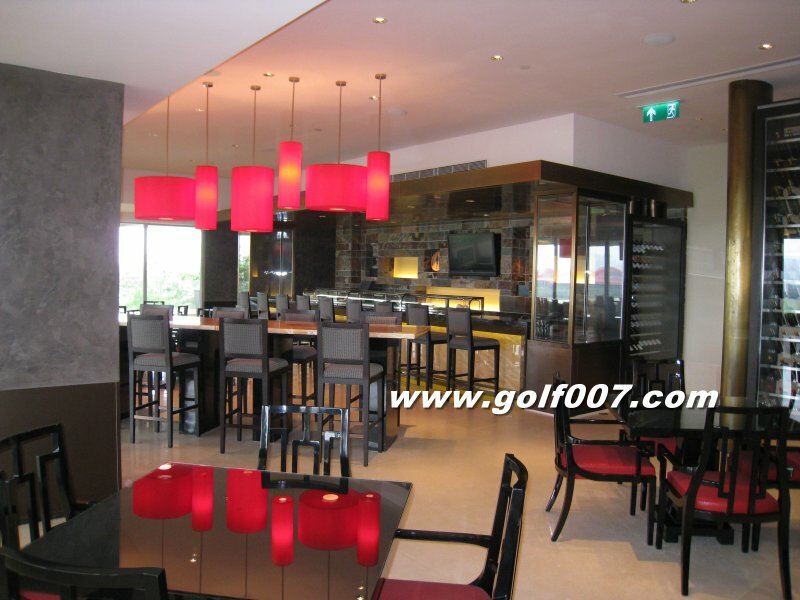 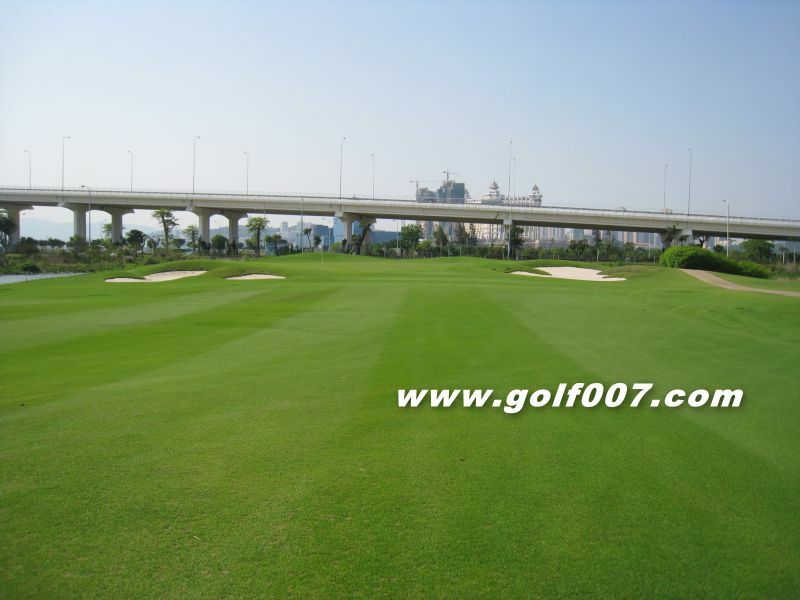 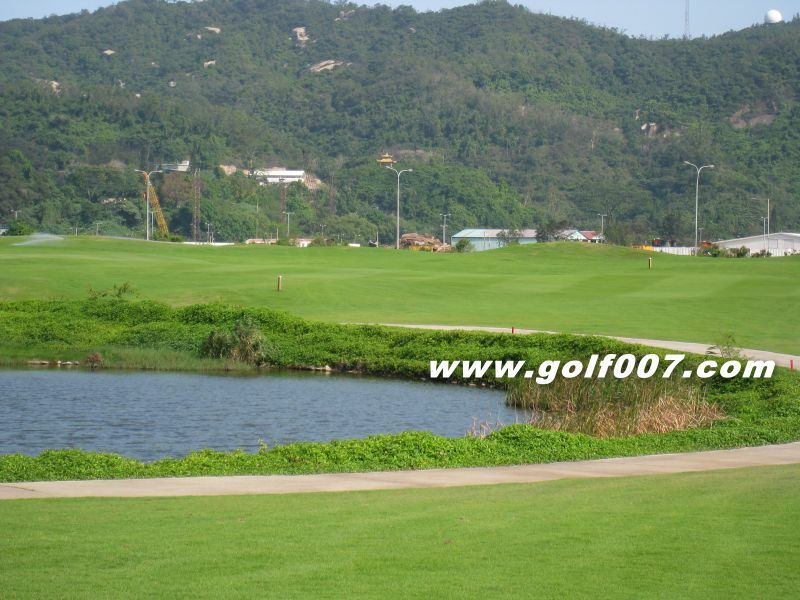 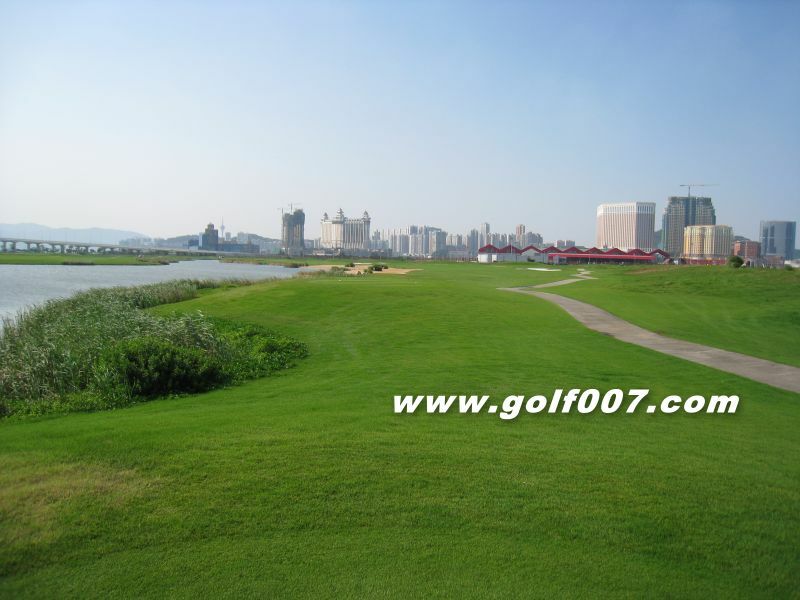 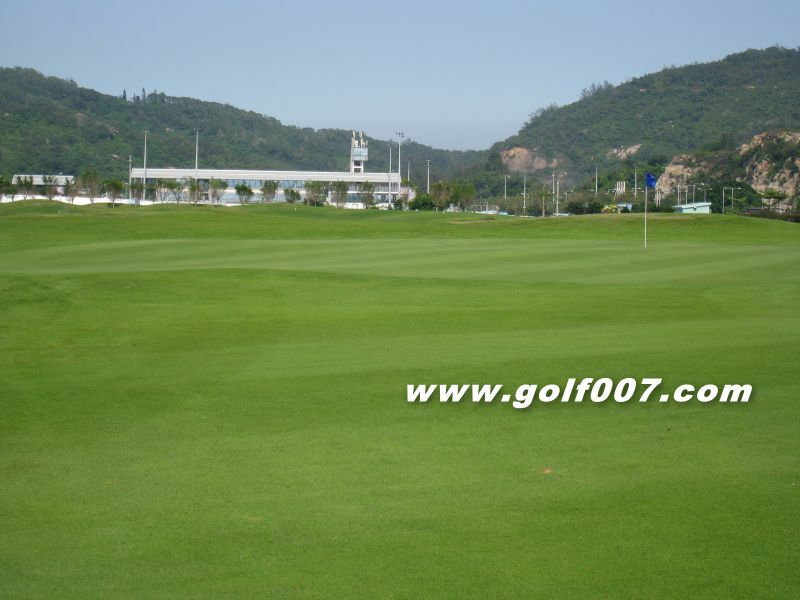 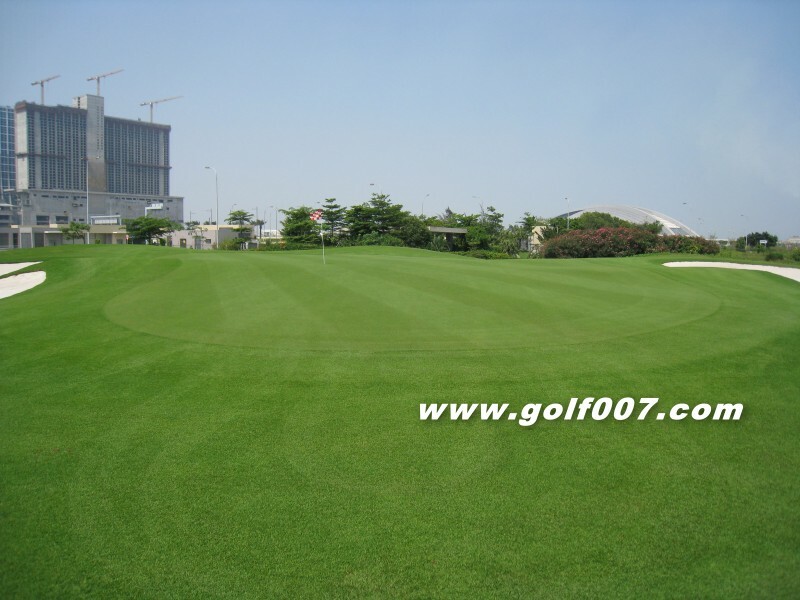 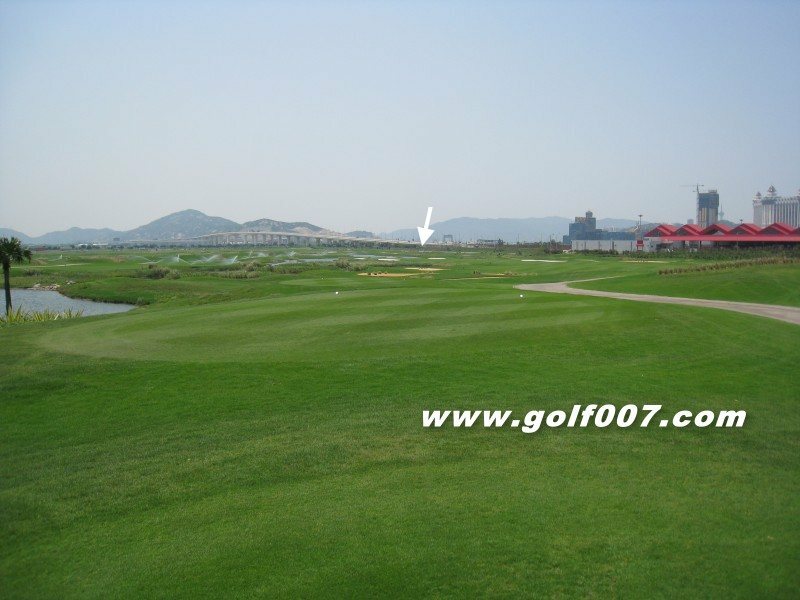 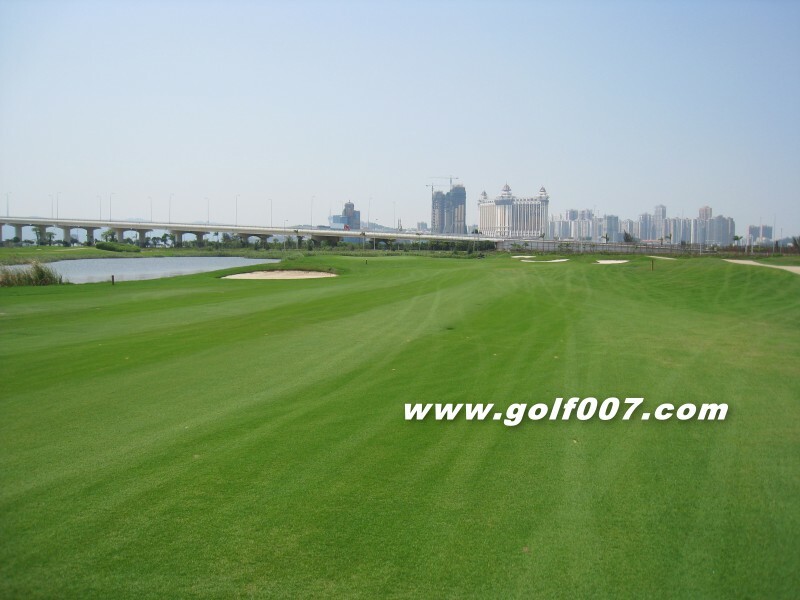 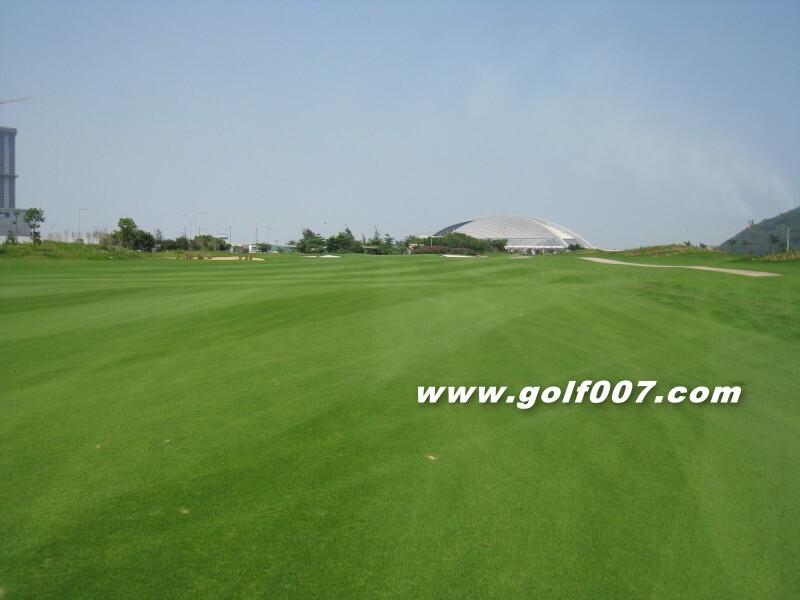 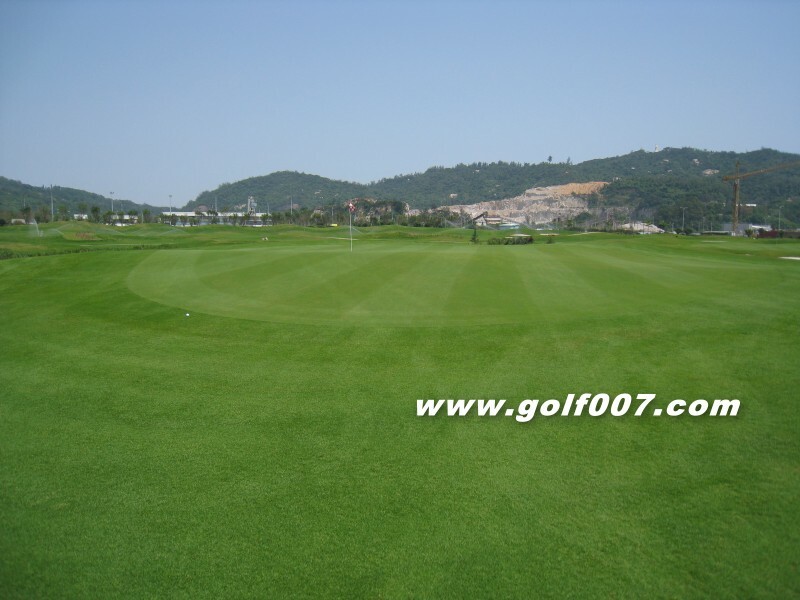 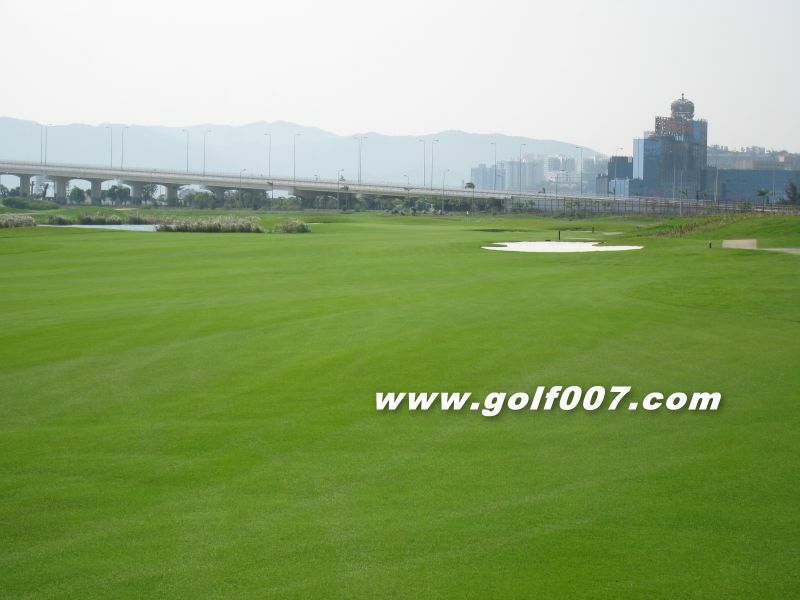 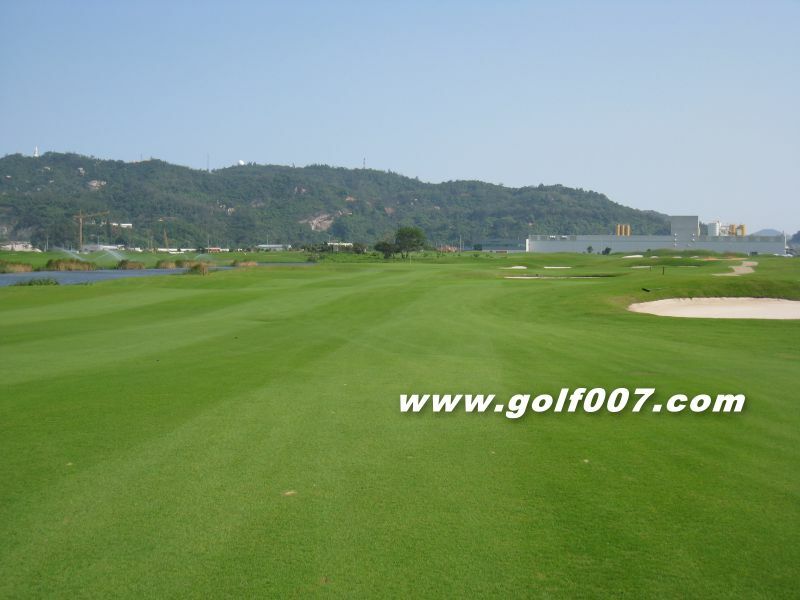 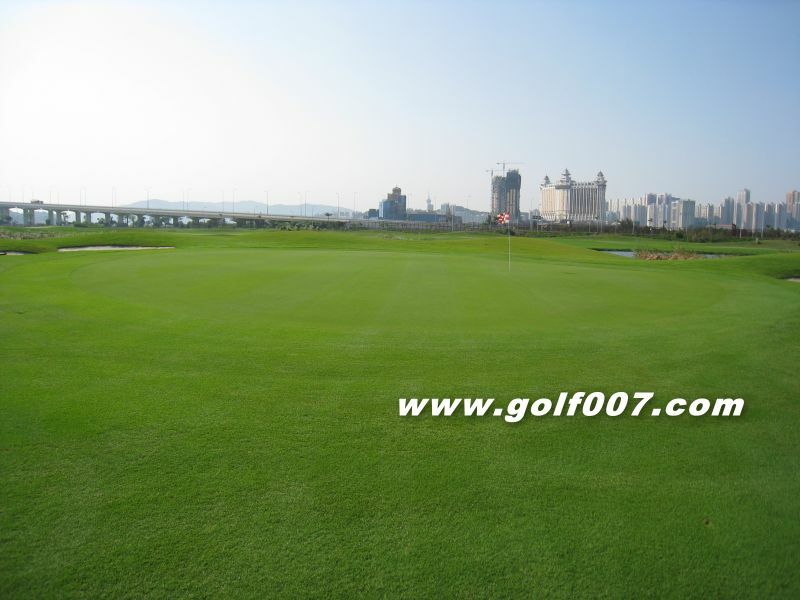 A sharp dogleg lef with water leftt, the longer hitter can have a go at the green, shorter or safety golfer can take a fairway wood or long iron (too much club will shot through the fairway) to the middle for a short (around 100 yards)approach . 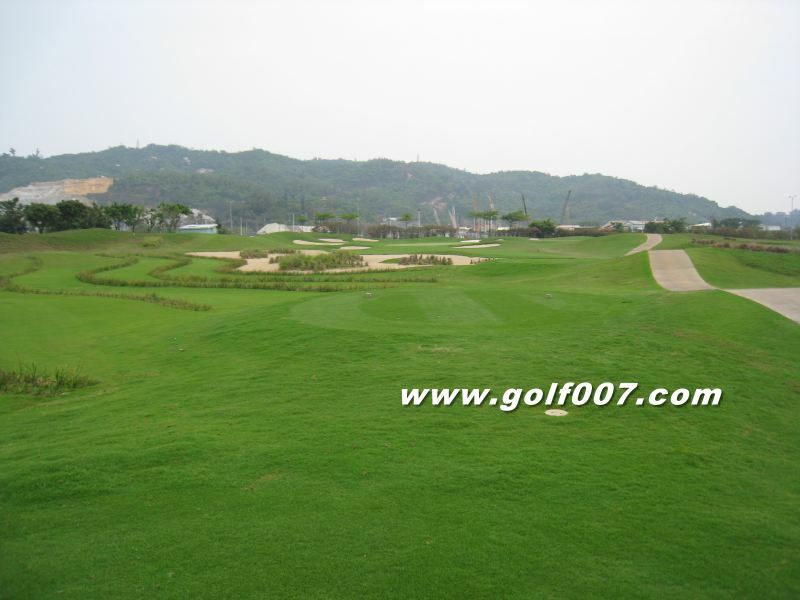 This used to be a par 4, now converted into a par 3. 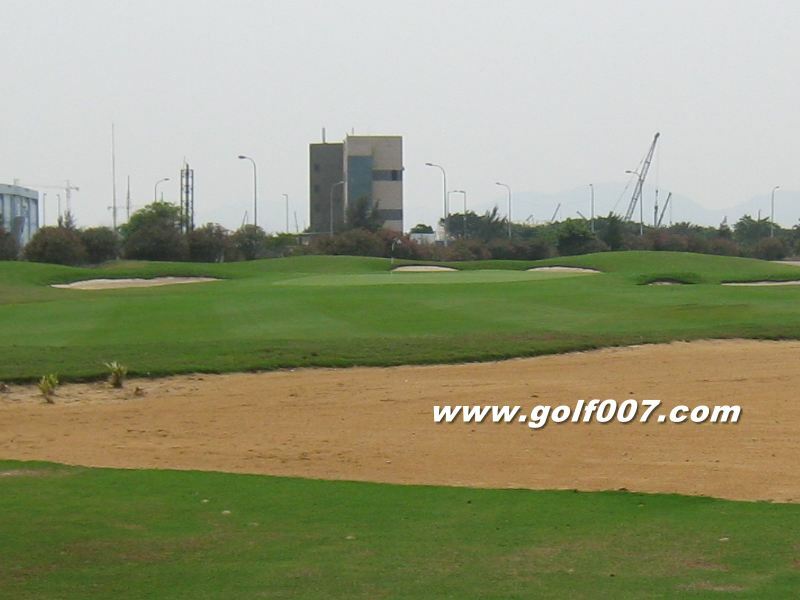 A short par 4, the fairway is above the teebox & the landing area has a massive bunker across the fairway, try to layup short.. 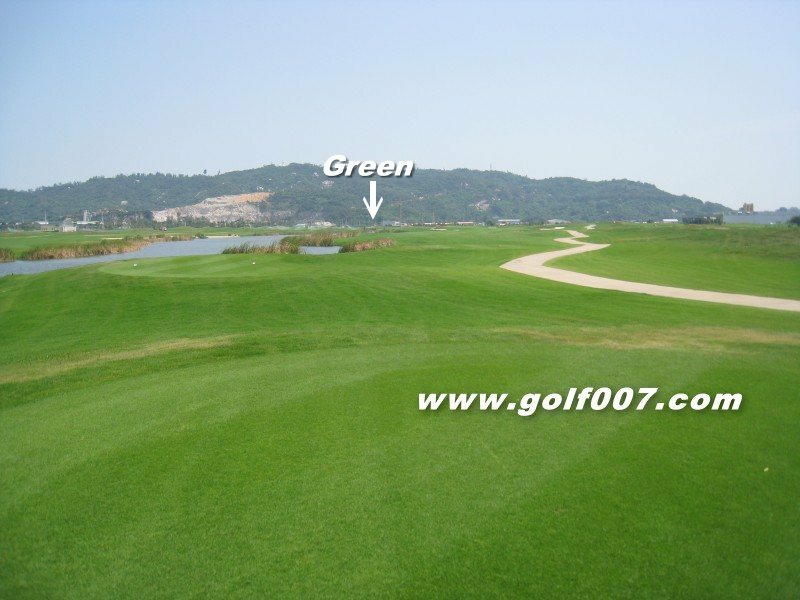 Need to carry water on this par 3, left is OB….hardest par 3 on the course. 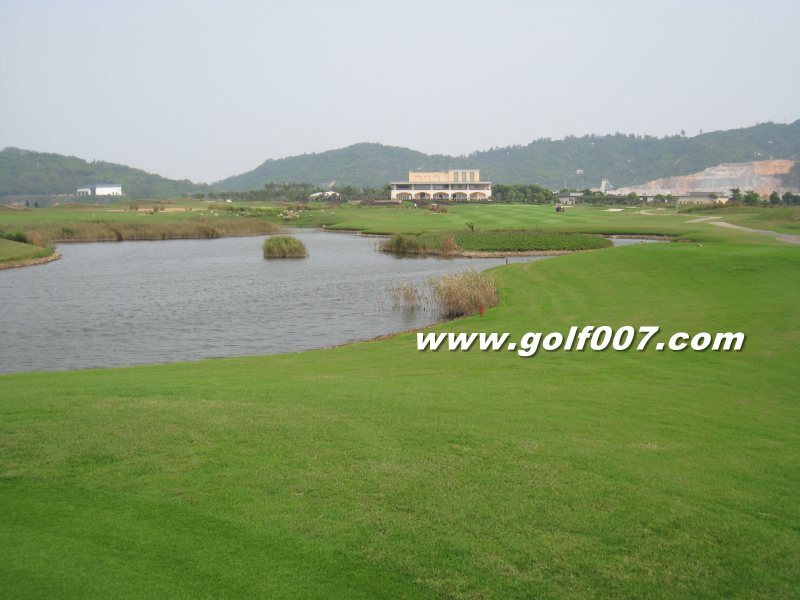 Par 5, straight forward hole with water on the left but fairway is quite wide. 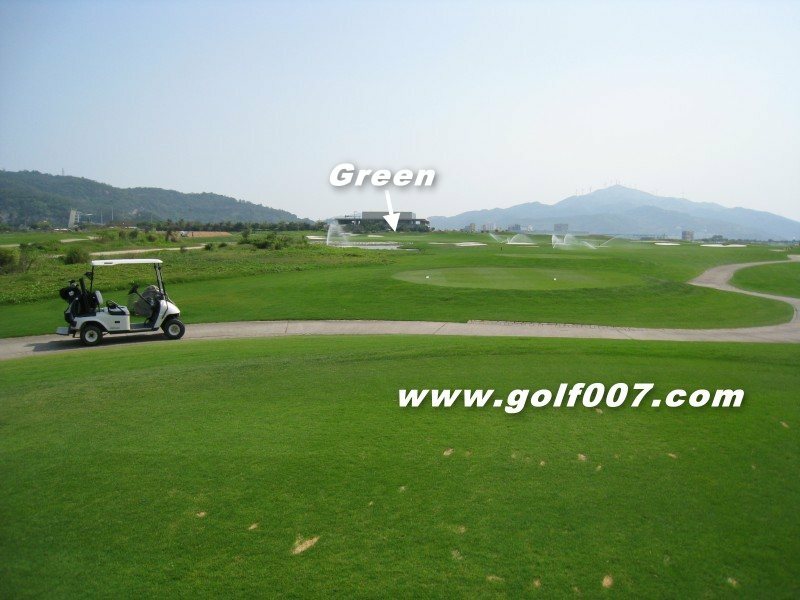 A fairly long hole with an elevated green. 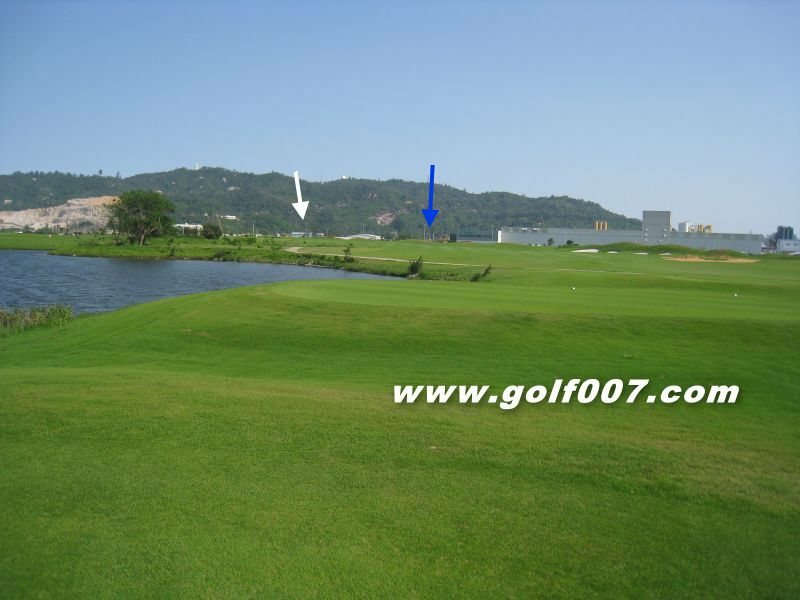 Dogleg left & water on the left, just aim at the blue arrow for safety. 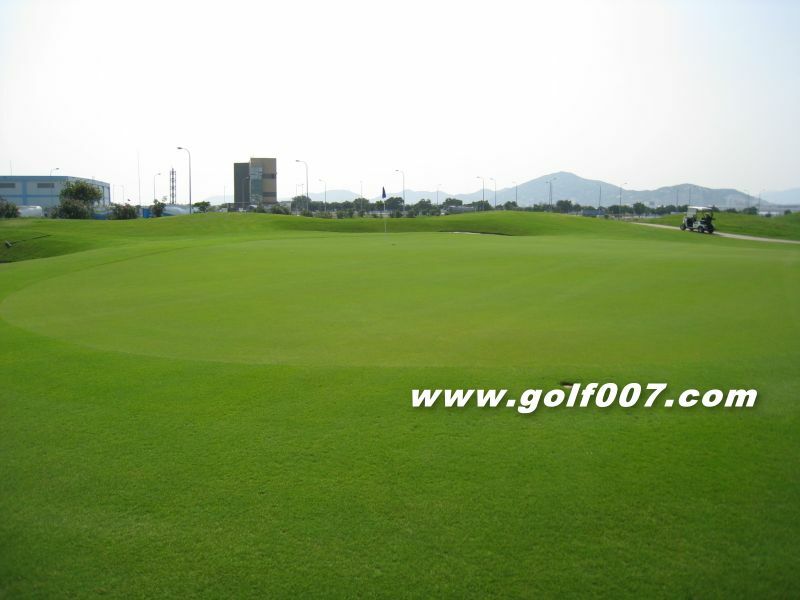 Need to carry to land on this narrow green. 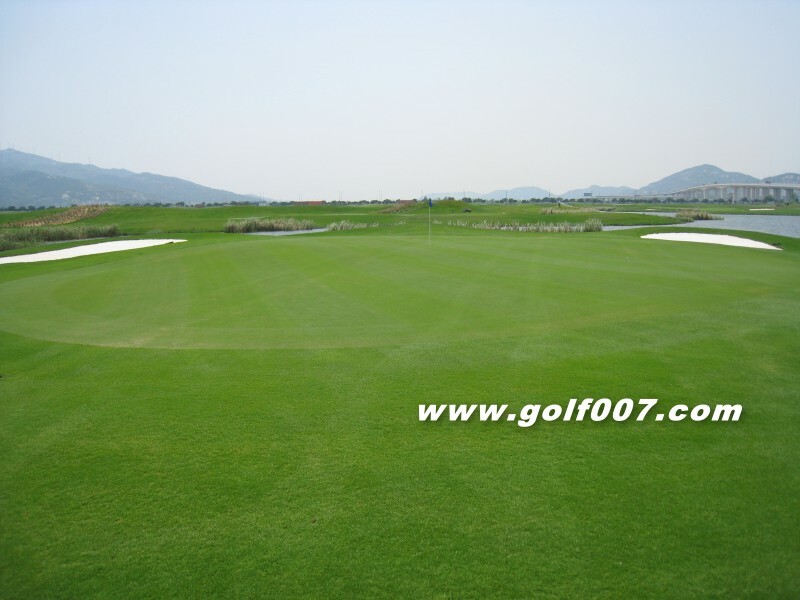 A shorter par 5, longer hitter should get there in 2. 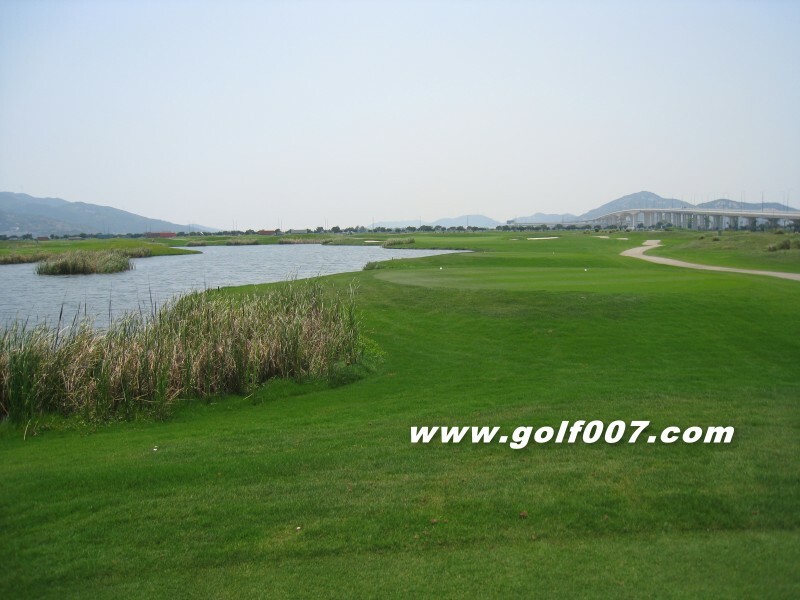 The home hole is a short par 4 with water on the left.